Our gospel lesson for this Sunday of the Epiphany presents us with a clash of kingdoms. At one level, the clash is between the baby Jesus and Herod the Great. But, more accurately it’s a battle--the battle--between God, on the one hand, and all the demonic kingdoms of darkness, sin, and death of this world. Jesus, King of the Jews, came into the world to die and rise for a human race in need of saving, then to share His resurrection victory with all who believe in Him. From the moment of Jesus’ birth, the mission of the kingdoms of this world was to prevent Jesus from successfully completing His mission. The clash of kingdoms began on the first Epiphany. When Jesus was born, most of His Judean homeland had no idea. Think of that! The Messiah promised by God hundreds of years before showed up and the only ones to notice were a few shepherds and two old people in the temple--Simeon and Anna--eight days after Jesus’ birth. But the Magi, these foreigners from the East, who held a superstitious belief in the power of stars had, back in their homeland, noted a strange astronomical phenomenon and, believing that such things indicated some important event on earth, then apparently rummaged through other people’s cultures and books to determine that this star was announcing the birth of the King of the Jews. And then, they followed the star. The Magi had more faith in the God first revealed to Israel than the people living in the holy land at that time! They show us that just because you’re a member of the religious club--just because you’re a genetic descendant of Abraham or you take up a place on the membership rolls of a church--doesn’t mean you follow God or that you belong to God. The key issue always is whether we trust God first revealed to Israel, now known definitively in Jesus. At some level, the Magi trusted in God. And they cared about the birth of the King of the Jews because some of the prophecies of the King found in the Old Testament said that this Messiah would be more than a King to the Jewish people. He would bring God’s reign to the whole world. He would make God’s salvation available to all people. Herod wasn’t a Judean. He was an Edomite, a thug appointed to be king by the murderous Roman Empire. He was a puppet. The Romans helped Herod spread the fake news that he was a descendant of King David. In exchange, Herod was submissive to the Romans. And the Empire didn’t care when Herod murdered people he feared would overthrow or undermine him. It's why Herod would later murder the baby boys in Bethlehem. It's why he murdered his own sons. It's why he arrested John the Baptist. 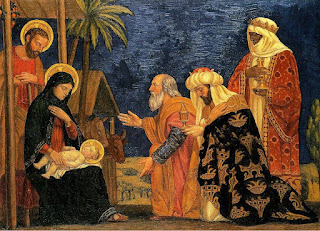 The Magi may have been “wise men.” But they were naive about Herod and the Judea into which Jesus was born. The Magi thought that, as the king of Judea, Herod would already know about the birth of Jesus. They thought too, that Herod would be as excited as they were about Jesus. A Jewish king would have known the answer to that question. Herod has to be told. Verse 5: “‘In Bethlehem in Judea,’ they replied, ‘for this is what the prophet has written: ‘But you, Bethlehem, in the land of Judah, are by no means least among the rulers of Judah; for out of you will come a ruler who will shepherd my people Israel.’” The priests and teachers were quoting Micah 5. Matthew already told us that both Herod and Jerusalem’s elite were “disturbed” at the thought that the King of the Jews had been born. They had built comfortable lives in the kingdom of darkness. So had many people who depended on Herod’s puppet regime and the Roman government--merchants, farmers, craftsmen--for their wealth. And, of course, the lion’s share of the Judeans would have found Jesus disturbing too, having no interest in the Kingdom Jesus came to bring, a kingdom that doesn’t promise wealth or ease, but forgiveness of sin--even for the sins we don’t want to give up. Three decades after the events in today’s lesson, the Judean crowds, disappointed that Jesus wasn’t going to throw out the Romans and give them the goods and privileges of this world that they wanted, turned on Him. Herod then was just the first of many to be disturbed by Jesus. Truth be told, Jesus can disturb us. 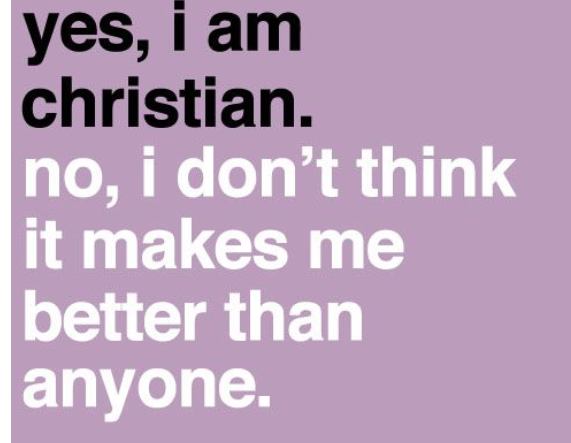 We don’t like to think of ourselves as sinners in need of forgiveness. We don’t like to think that our being all-around wonderful people isn’t what makes us fit for God’s kingdom. And when we hear Jesus say things like, “Whoever wants to be my disciple must deny themselves and take up their cross and follow me” (Matthew 16:24), we look for ways to hold back some parts of our lives for ourselves. We want to be our own kings. And so, Jesus is disturbing even to us. But it’s only in giving up on the little kingdoms each of us try to build that we can take the free gift of new and everlasting life with God that Jesus offers. It was an offer in which Herod had no interest. Are we interested? Consider how evil Herod is. With murder in his heart, he claims he wants to worship Jesus. Lying comes naturally to people mired in the kingdoms of this world. When life is all about yourself, anything you can do to promote the self, preserve the self, boost the self is fair game. But Jesus tells us: “Whoever wants to save their life will lose it, but whoever loses their life for me will find it.” (Matthew 16:25). Are we willing to lose our lives, including the dying comforts of this world, in order to gain life with God that never ends? What are we willing to let go of in order to take hold of Jesus? They were ecstatic! They were in the presence of the King of the Jews, the object of their search, the hope of generations, the fulfillment of God’s great promise of grace! When I considered these words this past week, I couldn't help recalling the words of the old spiritual: "Sometimes it causes me to tremble, tremble, tremble." That's how the Magi must have felt on seeing Jesus! Jerusalem didn’t worship the King of the Jews and on a Friday we now call Good, Jerusalem would, on behalf of the whole sinful human race, kill Jesus. But these foreigners welcomed and worshiped Jesus! Listen: God cares about you. 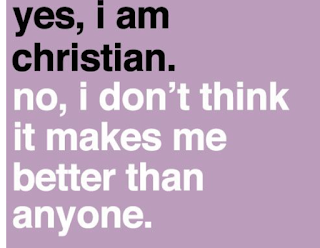 But He doesn’t care who you are. He doesn’t care where you’ve been or what you’ve done. He doesn’t care what your parents did, good or bad. He doesn’t care where you’re from. If you will welcome Jesus and His reign over your life, if you will submissively trust in Him, you will be part of His eternal kingdom. The Magi heard God’s call in a far-off land. They heard Him now as He pierced their naivete, allowing them to be instruments for protecting the Child and in protecting the Child, ensuring that Jesus would fulfill His mission of dying and rising. Just as He did with the Magi, God gives each of us a part in Jesus’ mission in the world. We are to be and to make disciples. And He both calls and empowers each of us to do our part. Our mission is best filled not with flashy programs or glitzy concerts or multimedia presentations, but as we allow ourselves to be the humbled and humble instruments of God’s grace, letting people encounter Jesus in the simplicity and authenticity of our faith in Him. the mentor in the faith who put up with my immaturity because she saw in me someone Jesus had died for. God usually builds faith within us in little moments of interpersonal encounter. When you think about it, it was, ultimately, a simple personal encounter with the baby Jesus that caused the Magi to know that the needed to bow down and worship Him. And because Jesus promises to be with us always (Matthew 28:20), He can also be present in our humble encounters with Him when we worship, pray, study His Word, and receive the Sacrament and in our humble encounters with others as we tell them, “We’ve met the King. He’s changed and is changing me forever. Come and see” (John 1:46). Jesus is the winner in the clash of kingdoms.